We pray this will be a place where you can learn more about us and our Lord and Savior Jesus Christ. 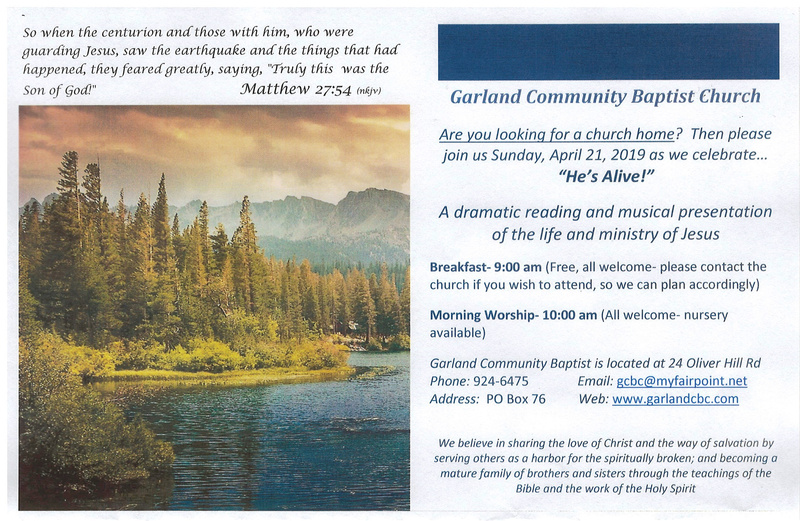 Feel free to contact us if you would like prayer or have questions about Garland Community Baptist. The Lord bless! We believe in sharing the love of Christ and the way of salvation by serving others as a harbor for the spiritually broken; and becoming a mature family of brothers and sisters through the teachings of the Bible and the work of the Holy Spirit.